So you might have noticed, or maybe not, that my posts have started dwindling. It isn’t because of lack of inspiration or desire but mostly because I recently started a new job. Yeah, blogging isn’t my full time job though it would be nice to get paid for cooking and writing, how fun would that be!! …but back to reality, my chihuahua Diego and I need to have a roof over our heads and need to eat! The new job is great but I’ve been so incredibly busy trying to learn new systems, creating business models and writing for work (I’m a IT business analyst by day) that I’ve been slacking off a bit on the food writing. Good thing is my day job is in the food and media industries so definitely in the right place. 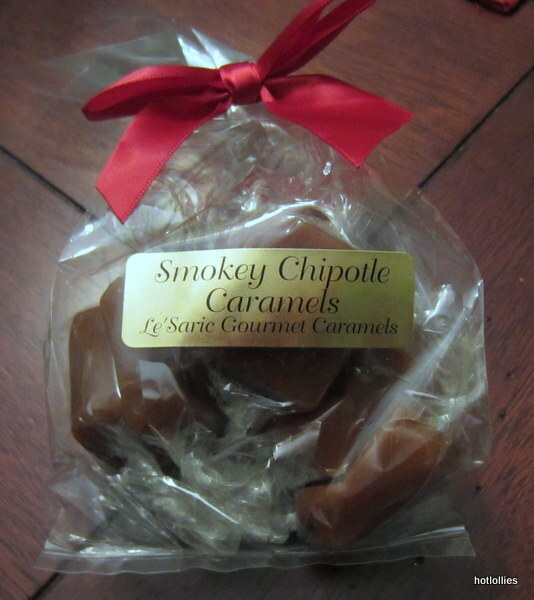 So I’ve been wanting to write about these Smoky Chipotle Gourmet Caramels from Le’ Saric that I think are pretty awesome. They’re milky and buttery as caramels should be but have an extra punch from the smokey chipotle chile pepper. These are the kinds of sweets you’ll want to hide in your dresser draw and enjoy all to yourself! …and only talk about after you’ve finished them all but that’s not what I did, I shared them with family but man, I wish I had more right now! I guess I’m going to have to order more! I wasn’t sure what to expect, would I be disappointed with a mild spice or overwhelmed with a inedible, cough educing candy? Within a few seconds the sweet, buttery caramel flavors we are so familiar with came through but this was even better and more rich. You can tell they were made with lots of love. Then came the smokiness of the chile followed by the heat of the chipotle which builds over time, definitely something chile lovers would appreciate. It’s an unexpected flavor combination for a caramel but it works so well together. It’s sweet, creamy, buttery, and a hot little addictive bite. An0ther great thing about these caramels is that they’re huge! 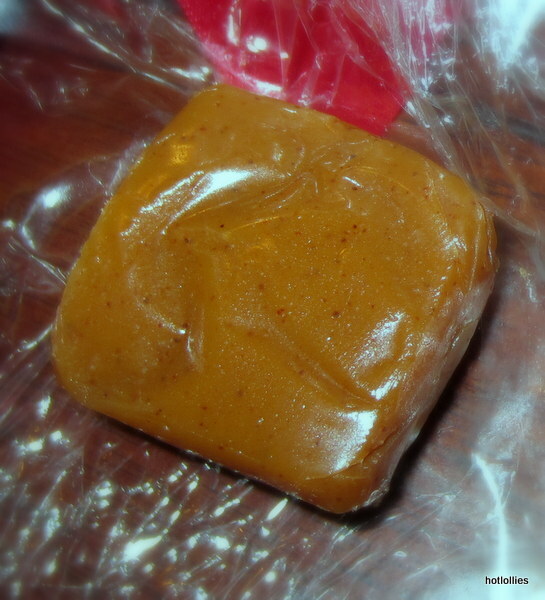 It’s a whole lot of caramel to pop in your mouth and best to cut up into four small pieces. I actually took a small bite then wrapped it back up for later just to make them last…and really, why would you want to devour something that taste so good so quickly? The caramels are about 1 1/4 in. x 1 1/4 in. and about a half inch thick. These would be great to melt and used as a dip for green apple wedges or drizzled over ice cream. These would make great gifts too so go check out their online shop and pick up a few.